“It’s more than just a mundane experience,” said Helen Tolliver, director of the Ryniker-Morrison gallery, while talking about constructing artwork. “It’s the work of the hands, the works of the soul,” she continued. While the nature of art is subjective, many would argue that true art possesses an immersive quality that captures the viewer’s interest and sparks their imagination. 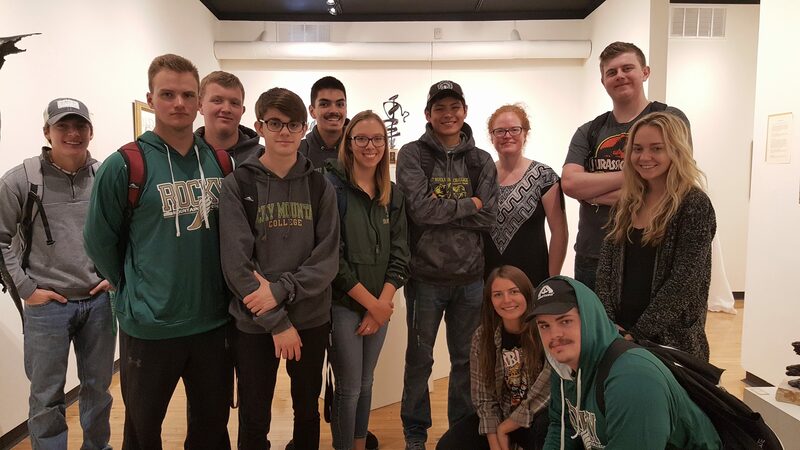 Rocky Mountain College introduced an opportunity for immersion with the debut of its latest art exhibit, “A Showcase to Genius,” located in the Ryniker-Morrison gallery of Tech Hall. 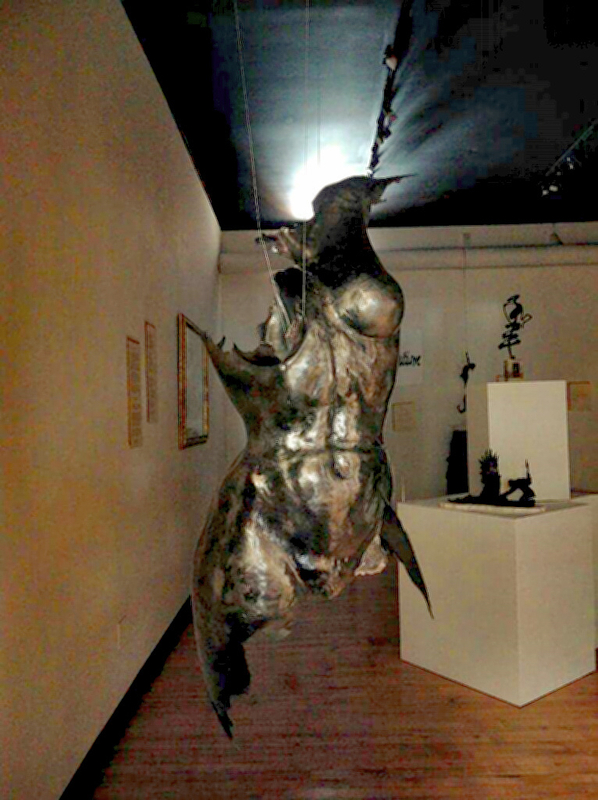 The showcase, which was open to the public from Aug. 23 to Sept. 20, focused on the sculptures and drawings of world-renowned artist Tim Holmes. “I’ve been to many shows at Rocky and this is my favorite,” said one of the gallery viewers. Looking at the art, it’s obvious why Holmes is well-accepted. When you walk into the gallery, the skill, the care, and the time that went into these pieces are clearly evident. Holmes’ artwork is an example of how you can take your interests and transform them into a future. Holmes has been sculpting since the age of 10, but didn’t realize he wanted to pursue a career in art till after graduating from RMC. Holmes graduated with a triple major in art, music, and drama. However, Holmes’ true passionis for people. “His art doesn’t become his art until people see it,” said gallery intern and RMC junior Carrie Cota. According to Cota, when you look through Holmes’ portfolio, all his pieces are about the person. The art display isn’t just for art alumnis, fine arts majors, or the gallery geeks. Whether you’re enthralled by art or not, showcases like Holmes’ are a testament to the idea that anyone has the capacity to turn their education into a living and their creativity into a life.